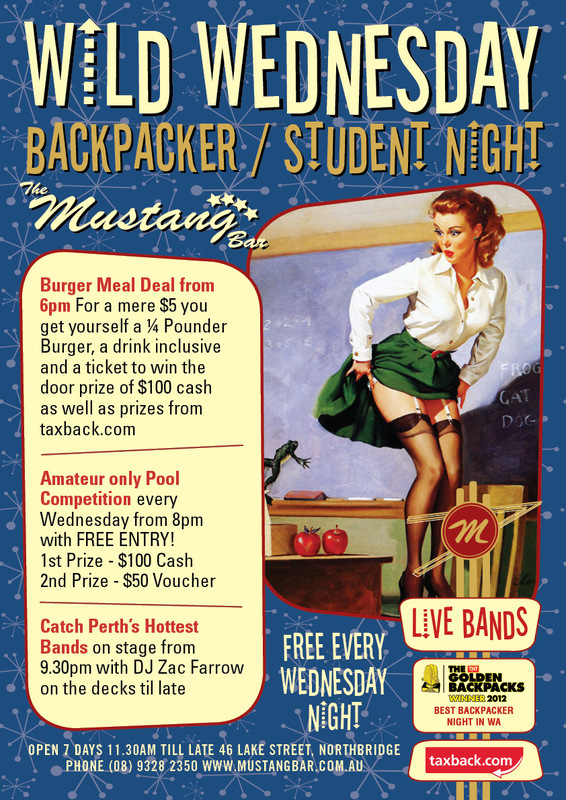 A staple of the Perth & Northbridge Backpacker’s weekly diet, famous for it’s value for your buck and consideration for the fiscally challenged… We proudly present The Stang’s weekly Backpacker & Student $5 fest! * Free entry to the Pool Comp at 8pm – 1st prize is $100 2nd prize is a $50 voucher. And you don’t really even have to be a Student or Backpacker! With limited spaces the pool comp fills up pretty quick every week so get in early to secure your place.